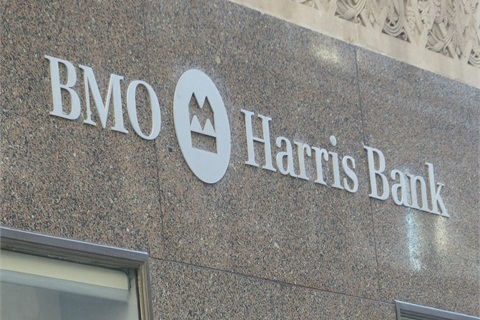 CHICAGO — On Thursday, BMO Harris Bank informed dealers in approximately 12 states that it’s “refocusing its indirect auto business to solely include the bank’s core market states.” The announcement, made in a notice obtained by F&I and Showroom, comes more than a year after the bank eliminated dealer markups in response to the Consumer Financial Protection Bureau’s scrutiny of dealer participation policies. Agreements between the bank and dealers in the 12 noncore states will be terminated on Oct. 31, the notice said. The bank will continue to operate in its core footprint states, which include Illinois, Wisconsin, Indiana, Minnesota, Kansas, Missouri, Arizona and Florida. In response to the Consumer Financial Protection Bureau’s March 2013 guidance on dealer participation, BMO Harris Bank announced in April 2014 that it was moving to a flat-fee compensation model. Dealers were notified at the time that contracts had to be delivered at the “buy rate” to be eligible for purchase by the bank, with the bank paying a flat fee of 3% of the amount financed — up to $2,000 — for contracts with maturities greater than 35 months. O'Herlihy denied that the move to flats resulted in lost business and maintained that the move was simply the result of a strategic decision. On Sept. 10, BMO Bank hinted at a pullback of its auto finance business to help fund its multi-billion-dollar acquisition of General Electric (GE) Co.’s transportation finance business in the United States and Canada. That transaction is expected to close in the first quarter of 2016. “The transaction will be funded using existing balance sheet liquidity, additional deposits and some wholesale funding,” Tom Flynn, BMO Financial Group CFO, said during the company’s conference call announcing its plans to acquire GE’s business unit. “In addition, our funding strategy includes a reduction of our U.S. personal and commercial indirect auto lending portfolio over the next few years. “The yields on the indirect auto portfolio are lower than on the acquired portfolio, and so we view this as an attractive repositioning of the balance sheet."